Children love playing together. Many moms arrange a scheduled date and time for their children to get together and play. Playdates are great opportunities for kids to learn how to develop relationship and socialization. 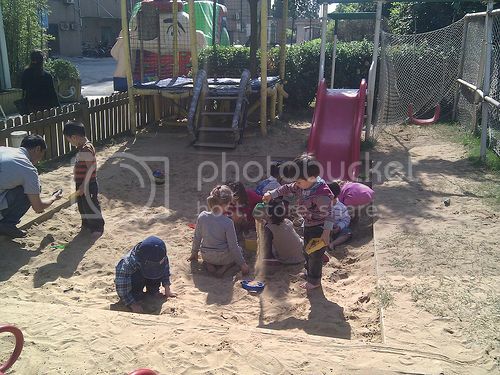 They can learn how to interact positively in different play scenarios. It is meant to be enjoyable for the kids and the moms as well. To play and to have fun is the main purpose of a play session; however there are times when things go awry due to kids’ behavioral concerns. Here are 5 of the most common behavioral issues on kids playdates. Toy sharing. “You can’t play with this toy” - This is the most common cause of clash and emotional game play. Solution: If you will be hosting a playdate, it will be a good idea to first ask your child which of his toys he is willing to share to his playmates and put away his special or favorite toys. It is the parent’s role to explain the idea of sharing - sharing toys with playmates doesn’t mean they get to keep them or take them home forever. Age. Toddlers can really be unpredictable in their behavior. He may suddenly start whining or crying after several minutes of playing. The reason may be - he is hungry or sleepy. Solution: If you are hosting a playdate, arrange it on a most convenient time for toddler participants, which is after a nap time. On the other hand if your kid is attending a play session it will be good to feed your child before a playdate. Toy-throwing tantrums. When kids especially preshoolers get overexcited, they want to get hold of every toy they see. There are times that he wants to play a toy being played by another kid, thus just snaps it out of the blue. This behavior may lead to toy-throwing and petty quarrels. Solution: If you are the host, talk to the parents and children participants about the guidelines you set before starting the session such as toy sharing, wait for your turn or play together and more. Like a boss. Some children possess a dominant behavior that they want to be the leader to be followed at all times and the first ones to play with the toy. Solution: For the host, it is a pre-requisite to inform the parents of the rules about the playdate that is to enjoy playing nicely with others to gain friends and not enemies through socializing and sharing. Everyone should get his turn to be the leader. Snack-time showdown. Children may whine incessantly over prepared snacks. Picky eaters like children who prefer chips over healthy foods and more. Solution: Before planning for a playdate snack, it is important to ask the parents about their child’s food facts, food sensitivities and allergies. In order for a playdate to be full of fun and easy for the parents, it is advised to keep it short. An hour or two will be fine for a get-together. Keep in mind that kids are curious by nature, so to prevent unwanted accidents it is better to set a designated place - a play room or the yard wherein you can keep a watchful eye and keep vigilant while you and your parent-friends also enjoy socializing over a tea party. Rules before the play can constitute a better understanding between each kid who participate. Your article fits for this situation. I'm very glad that my daughter never gave me problems during her playdates while growing up. I can imagine the horrors of a mom to have to go through all the hassles of pacifying a toddler. These are great tips for parents with little kids. Mine are all grown now and I am proud to say that they were very behaved during playdates when they were young. The only "fight" time they had was who was to use the game controller. I solved that by using a timer. Hay! Will never get to experience supervising a child on a playdate. I guess. it's one of those things you don't experience if you're not blessed with a child. THese are very nice pointers, very helpful for parents. These are great tips especially after winter. It is better to have precautions than to be sorry in the end. Great tips! I always encourage my children to play outdoors. It's better than playing with ipad or watching tv. Tried to search for TackTiles but there was an error with the product catalog. Is that a new company or product? Anyway, we just bought a new plant the other day and I think it's prickly!!! Oh no! My daughter for sure won't go near it but I worry about my guests' little ones! Gee! I should have read this post last week. LOL! I'll just have to put it somewhere they won't reach I guess. very useful safety precautions. every child deserve to have a safe outdoor play area. i love bringing my kids to play outdoors as they get to exercise and play at the same time. for parents, safety is always the priority. I think when it comes to TacTiles, it's better to choose the dark ones and can withstand any weather condition so that it'll not be exhausting to change another one all over again. I'm glad more and more people are realizing the importance of children's outdoor activities. It's also very good that folks are more conscious of their safety while outdoors. Lovely tips here! Kids would always love to play outdoors and keeping them safe while they are at it will always be topmost priority for every responsible parents. I love food stacking systems!!! I wish my kitchen cabinets look like that, so clean and organized! Plus, yes, the food won't stale and a good one will definitely maintain it's freshness! OMG! Your post just reminded me of the task I've been keeping in the back burner forever. I need to re-organize re-arrange my dry spices. I have gazillions of them and I've been trying to figure out how to store them in a more organized manner so I don't keep rummaging through them when I need a specific spice. It's frustrating. I went to the extent of listing what I have so all I need to do is look for whatever I need. I tried a lazy susan spice organizer but it can only hold so much (sigh). Oh! I love how organize the kitchen in the photo is! I would love to have like that! I always wanted to buy food storage sets but end up not buying them! hehehe! With kids who always open the cupboards and ransack for food, I don't know if I can get an organized cupboard! Lol! Containers are good organizers in the kitchen ..
i love kitchen containers i used to have them lots before but my husband loves it more simpler and with all that plastic containers that we used for food tke away here. love how the fridge looks! proper storage container can prolong the shelf life of foods and condiments. That's really neat. I miss having my own place where I can organize everything. very neat! I love those food containers. It's amazing how it make the cabinet so neat and clutter free! Yes, I have stocks of plastic containers here for my eatable stuff in the kitchen! They sure make the foods fresh and good. I love how neat that stack of of containers pictured! I wish mine is as neat as that! Lol. It's a challenge to keep kids safe outside but is manageable. It doesn't only organize but it also looks neat and clean. Organized things helps us to work inside the house with joy.